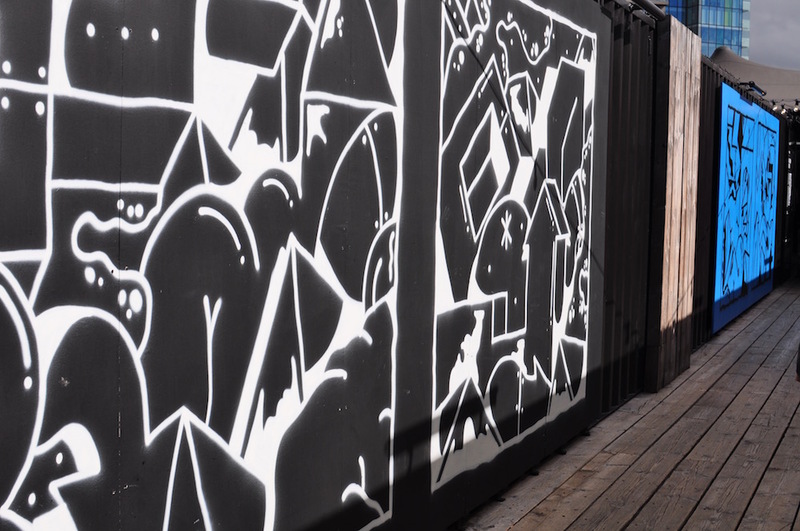 On our way to CitizenM Shoreditch, a tar black, two-floor building structure stood out on the corner of Bethnal Green Road and Shoreditch High Street. Box Park (link http://www.boxpark.co.uk/) is only a couple of minutes walk from CitizenM and I was very excited to meet it. Shopping and eating in one place- I love it! Our plan to go see the London Eye deviated a little when Dave mentioned something he wanted to see nearby. 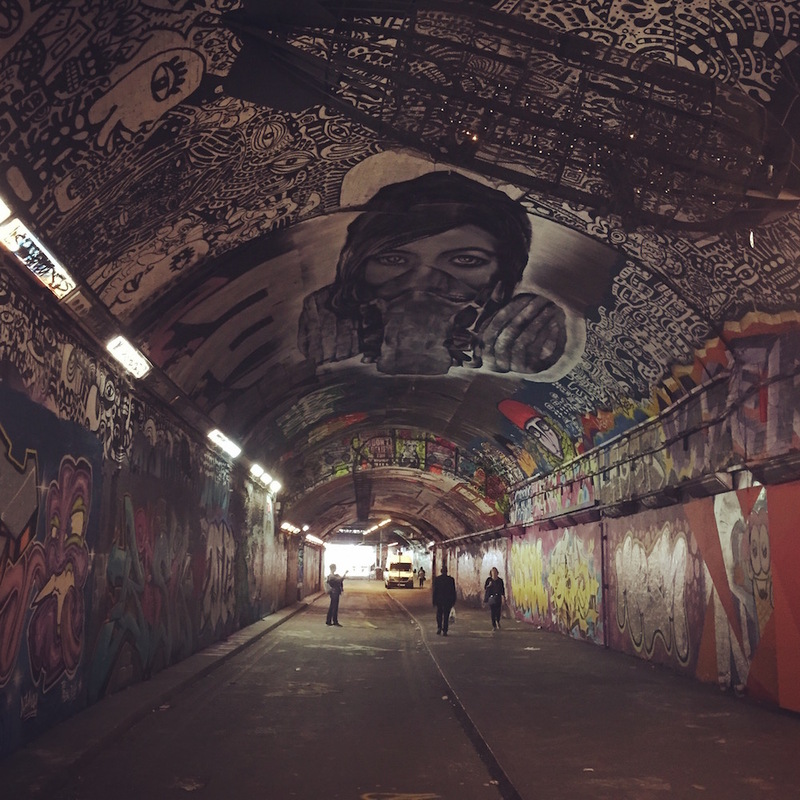 “It’s a hidden tunnel full of graffitis inspired by Banksy.” At the sound of that, I was definitely no longer interested in the London Eye and wanted to check out this art tunnel I knew nothing about. I took a picture of the famous giant wheel contraption from afar and we continued walking.